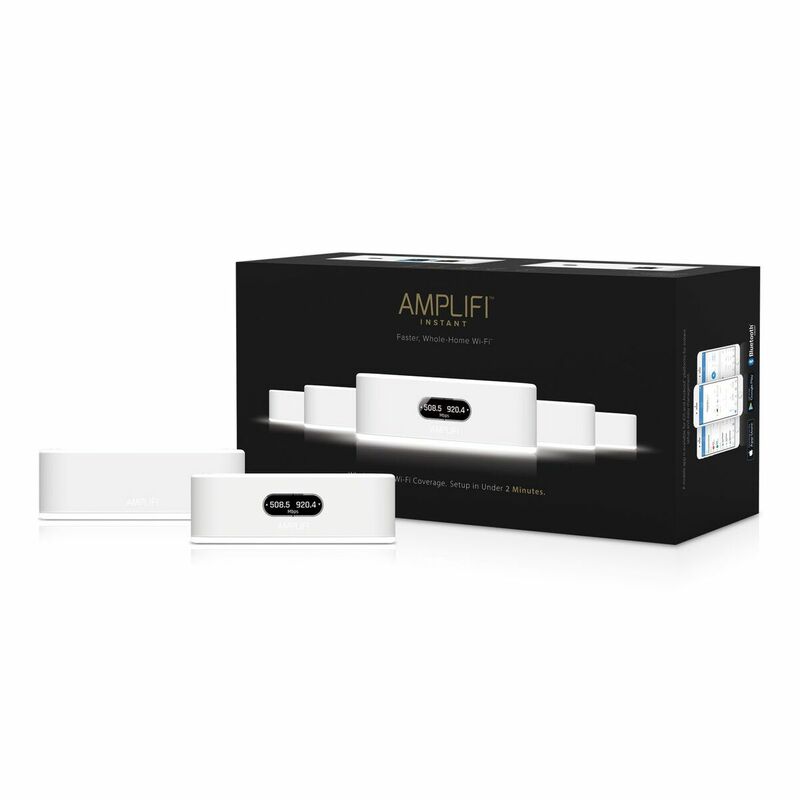 Meet the newest member of the AmpliFi family- AmpliFi Instant! AmpliFi Instant takes 2 minutes to setup and delivers fast and reliable Wi-Fi to your entire home. Congratulations, AmpliFi team! 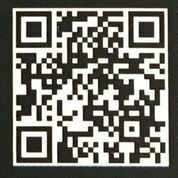 This is a very cool product. The only use for the ethernet on the back of the mesh point is to connect legacy devices that don't have wi-fi or can I use for wired backhaul? Will this device work in bridge mode if necessary? Will this device support the Ampli-fi teleport? I dig the 2 minute setup, but will this device support more advanced functions for advanced users? No, the ability to create multiple networks in your home without running a double NAT would require more than one public IP from your ISP. @ubnt-brett Does it use the same app as the HD? Does guest access work out of the box? My brother has Amplifi HD, and had to put his ISP modem in bridge mode, and Amplifi in router mode to get guest access and parental controls to work. Does Instant have guest access when connected to non-bridged ISP modem? Thank you very very much. I already posted the answer in the Ampli-fi Subreddit to help there. About the double NAT, wouldn't this be a problem only if I used the Ampli-fi in router mode, If both Ampli-fi's were in bridge mode all the routing would be done in the ISP router, or I'm wrong? Can you mix and match instant mesh with Amplifi-HD? Are there any upgrades from the HD routers? Like an upgraded processor with more throughput? Anything that might improve Teleport performance? So is it fair for me to think of this as an "AmpliFi Lite" system? Or is this a v2 router meant to replace the AmpliFi HD system? This is unclear to me. I think the former (based on specs), but it's not entirely obvious. I have one additional question: Can I add an AmpliFi Instant MeshPoint to an existing AmpliFi HD Mesh? You said one cannot mix kits. Does this mean I can only add an Instant router as client? But is it than really part of the wireless mesh backhaul? The use case is as follows: My AmpliFi HD router is connected to the ISP's modem/router in room A. Now I want to add my wired devices in room B to the network. So a mesh point with an ethernet port would be great. Asked about upgrades for the current HD routers; I'm told there is a different part number & that a change is "in the pipeline". I have also heard of a vague FCC registration for a new Amplifi model - but that is probably a few months off. I second this question ... and how can one buy just a mesh point and not a router? The HD kits should have always had points with ethernet jacks. @ubnt-brett Looks amazing! I've heard Amazon and Best Buy will be selling the Instant, but haven't seen them listed there yet. Do you know when sales will begin outside of Amplifi.com? I'd be happy to buy from you, but I can get free 2-day shipping through Prime (or pick it up today at my local Best Buy) if they had it. If it'll be a while, I may buy through here. Thanks! @shane-milton This is not a replacement unit for the AmpliFi HD. This is another variant of our product to meet a broader spectrum of our clients needs. A lite version is a fair assumption of the product, more like a cost effective device that is not the powerhouse like the AmpliFi HD. @guido-breitenhuber To answer that question, the mesh point that comes in the AmpliFi Instant kit is not sold separately, however you can use the Instant stand alone router as a mesh point and have that be your wired backhaul unit. With the device having a price point of 99.99 it offers a lower priced add on mesh point option with the wired backhaul feature. Keep in mind, another option is to add an AmpliFi-HD as a wired backhaul mesh point as well if you want a more robust add on.